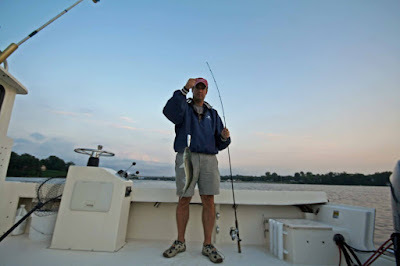 South River Topwater Fishing: Fall pattern? Headed out at 5pm tonight. It was breezy with a threat of rain, so I stayed in Lake Riva. Hit all the normal spots and picked up 3 blues. Had one nice blowup around 6 pm at the 6MPH cove, but fish missed. Ended up back at Boyd point at 6.30 and finally got a decent 16 inch Rock.